Heroin is known to be one of the most addictive drugs in the world. This illicit drug was initially derived from the poppy plant and is currently a Schedule I controlled substance. Drugs categorized as Schedule I are considered highly addictive and have no current medical use within the United States. 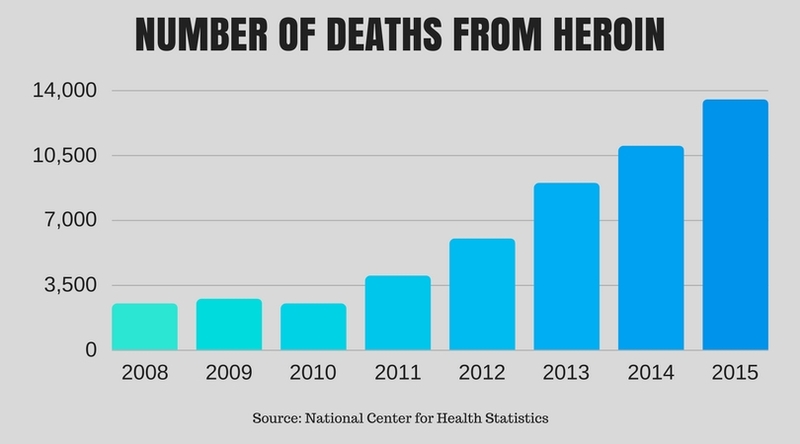 With heroin use on the rise, the number of first-time users has increased from 90,000 in 2006 to 156,000 in 2012. When an individual uses heroin, it produces euphoria and a false sense of well-being. Over time, heroin users develop a tolerance to the drug and require higher doses to achieve the same effects. With heroin dependence becoming more prevalent, many people are asking, “how long does heroin stay in your system?” We’ve broken down the exact science so that you can better understand what heroin does to the body and how long it takes to be processed. If you or a loved one is abusing heroin, it is important to understand the overall effects of the drug, as well as how long it stays in your system. This information can help distinguish life and death decisions that are imperative to achieving lifelong recovery. Additionally, understanding the length of time that heroin remains in the body can help overcome the challenges that present itself via a drug screening. The time at which heroin leaves the body will affect how long it takes before the substance is no longer detectable in drug tests. The drug tests that are approved by the Food and Drug Administration (FDA) for heroin are tests which require the blood, saliva, urine, and hair follicles to be collected and tested. Urine – up to two to seven days after use. Blood and Saliva – for up to two days after the last use. Hair follicles – up to three months after the last use. When an individual takes a single dose of heroin, the effects of heroin can be felt up to four to five hours after the last dose, however, heroin’s half-life is estimated to be about 30 minutes. A half-life of a drug is the amount of time that it takes for a drug to reduce to 50 percent of its concentrated dose. If you are a loved one of someone that you suspect may be using heroin, it’s best to approach that individual and conduct a heroin drug test to find out if they have the metabolites in their system. When one admits to heroin drug rehab at Restore Health and Wellness, the physical effects of heroin withdrawal can be experienced when the body is deprived of the drug and the body rids itself of negative toxins. The progression of symptoms as well as the length that heroin stays in the body can vary from person to person. However, the full recovery process can take much longer than the physical withdrawal symptoms. Once the drug is cleared from an individual’s system, therapies can be incorporated to address the underlying reasons why one began using heroin in the first place. Additionally, the destructive emotional and behavioral patterns that fuel addiction can be healed with healthy coping skills that build a lifelong foundation of recovery.